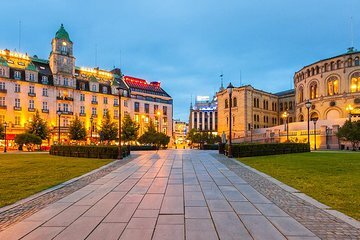 Benefit from personalized attention and a flexible itinerary during this private walking tour of Oslo. Explore the Norwegian capital with a dedicated guide, who will craft an itinerary curated to your interests. Possible visits include the Norwegian Parliament, the University, the Grand Hotel, City Hall, and others. Embarking on a private tour means you can make the most of your time; no waiting for slow-moving groups.